Campania centrale e meridionale, Neapolis Didracma, ca. 395-385 a.C.
Italy. Central and Southern Campania, Neapolis. 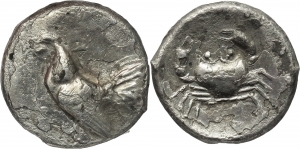 AR Didrachm, c. 395-385 BC. Obv. 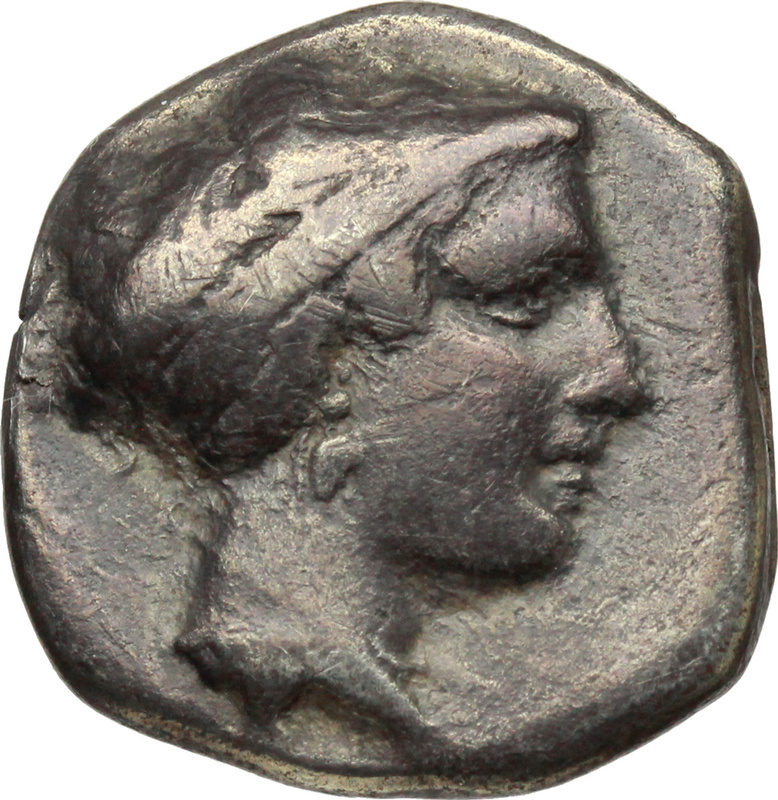 Female head right. Rev. 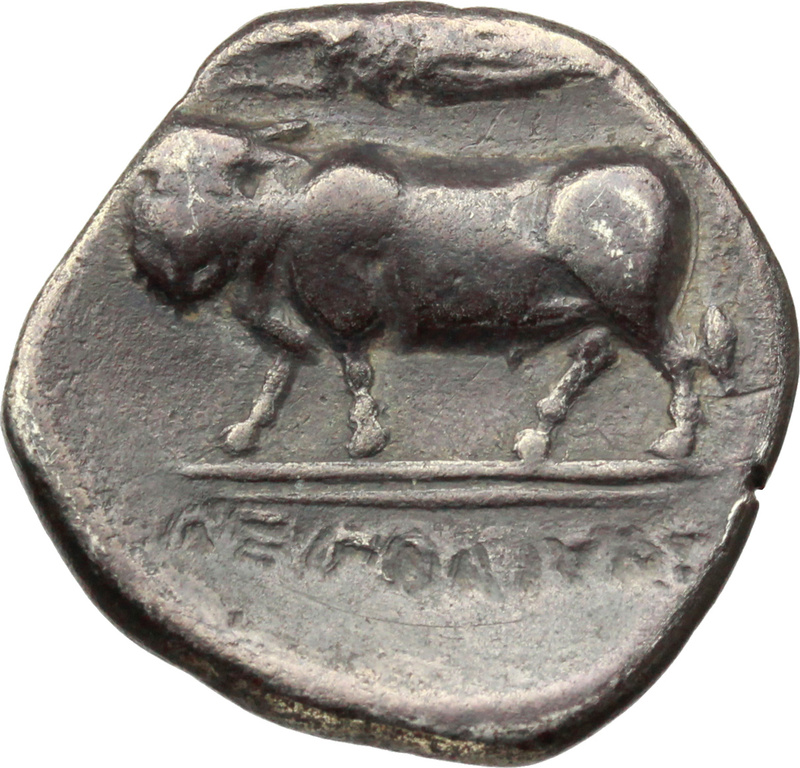 Man-faced bull left, crowned by Nike; in exergue, NEOΠΟΛΙΤ. HN Italy 563. Cfr. SNG ANS 280. AR. g. 6.96 mm. 20.00 F/About VF. Dark patina.